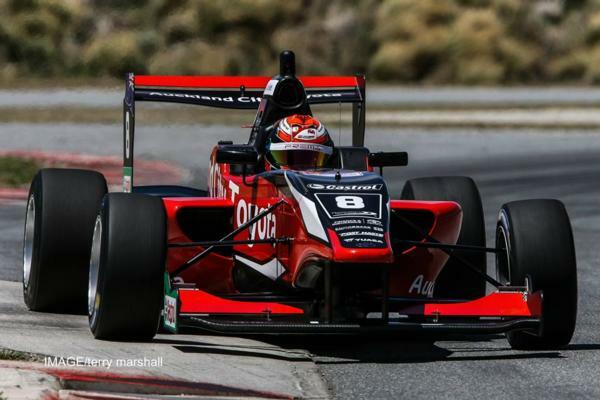 In his first race drive at Highlands Motorsport Park in Cromwell, Marcus Armstrong has taken provisional pole for the first race of the 2019 Castrol Toyota Racing Series with a sensational 1:28.252, going .200 of a second clear of second placed Raoul Hyman with fellow Kiwi Liam Lawson third. Marshalling his tyres for a devastating shot at pole, Armstrong had circulated in fourth place for several laps then dotted down a perfect qualifier to dominate the field. His lap time is two seconds faster than the existing race lap record set by Andrew Tang in 2014, the previous time the Toyotas came to Highlands Park. The time is provisional, because it was set as Parker Locke crashed, meaning race officials must examine the final lap to be sure Armstrong was clear in all sectors.